Bob Miller is Owner and Builder of R.J. Miller Custom Homes, LLC., and has 25 years of experience building homes in Virginia and Maryland. 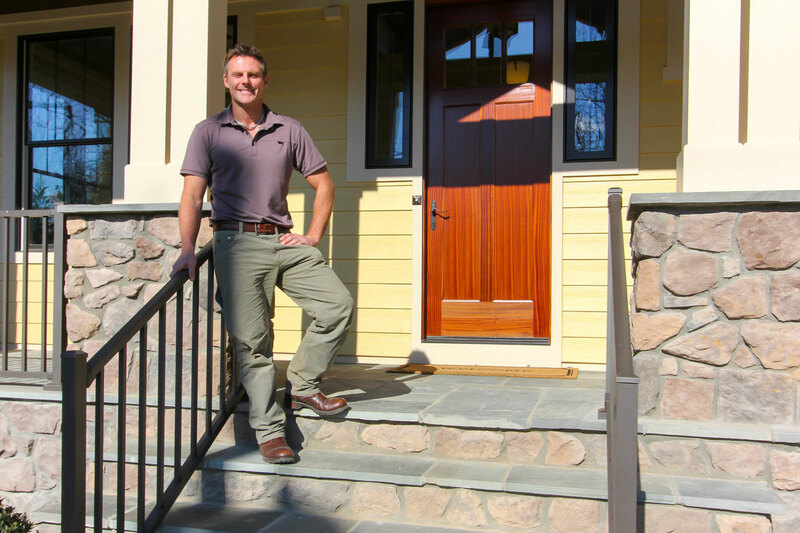 Carrying the NAHB Certified Green Professional Designation (CGP) and an extensive knowledge of the latest Energy Star, Green Building, and advanced building science techniques, Bob builds every home from design to finish, with his personal attention. Bob began his career after graduating from Penn State University with a B.S. of Finance, spending 5 years in the field, learning the industry hands on. From there, he took his skill for numbers, knowledge of construction, and aptitude for design; and put it to work in such positions as Director of Operations, Director of Construction, and V.P. of Purchasing and Product Development, all with some of the area’s most notable and well respected companies. Along the way, Bob built a solid reputation as one of the area’s most well respected home building industry leaders, and has built strong relationships with the area’s highest quality trade craftsmen. Utilizing building science and the Whole Home approach to home building. To Bob, Everything Matters when building a home. It begins, with the help of the area’s most highly skilled and respected architects, designing a custom home for only the best of lots. The focus is on designing unique spaces that meet today’s lifestyle and emphasizing the strengths and beauty of the lot. It continues with the meticulous selection high quality materials and master trade craftsmen. Then, and perhaps most important, comes the selection of the specifications and scope of work that go into building the home. This is where Bob excels, utilizing building science and the Whole Home approach to homebuilding. That is, every component of the home works in concert with the other components. One selection cannot be made without considering the impact on the rest of the home. Finally, the home must be managed, inspected, and reviewed meticulously so that every detail conforms to what was planned. And if done properly, energy efficiency, sustainability, indoor air quality, and comfort coalesce into a highly crafted home with value that will last a lifetime. “We recently purchased a new home from R.J. Miller Custom Homes and couldn’t be happier with our decision. This builder puts an intense focus on detail and quality that is often lacking in the Vienna new construction market. In no area of our home do we feel that a corner was cut or a detail missed, yet our home was very competitively priced. The design was exactly what we were looking for, with an open layout, beautiful kitchen and plenty of space for our two young children to get into trouble. We made several small changes and all were managed expertly on budget and on time. Our experience R.J. Miller Custom Homes was unique in that the owner of the company remained highly involved with all aspects of the construction and sales process. He responded directly to us at all hours of the day and often within minutes of our call. The very few punch list items that we did have were addressed immediately, often within 24 hours and all were handled by the owner directly. From a customer service standpoint, I am quite certain we could not have asked for a better experience. “We were very careful and interviewed many builders in Vienna for 18 months before finally taking the plunge. We are so happy we decided to go with Bob. We love our beautiful new home and the careful thought that went into the design and finish selections. Our decision was confirmed by our home inspector who told us that the house was very solid and then by our neighbors who witnessed the building process through every stage – they said Bob was meticulous and on site daily. Bob has been an absolute pleasure to deal with – he has responded to and addressed many items after settlement that he had no obligation to deal with. We are also grateful that he built such an efficient home, our utility bills are a lot less than we are used to paying. We would recommend Bob without reservation to anyone looking for a new home. He is a master builder, sincere, truly cares about the happiness of the customer, responsive and all-around nice guy.